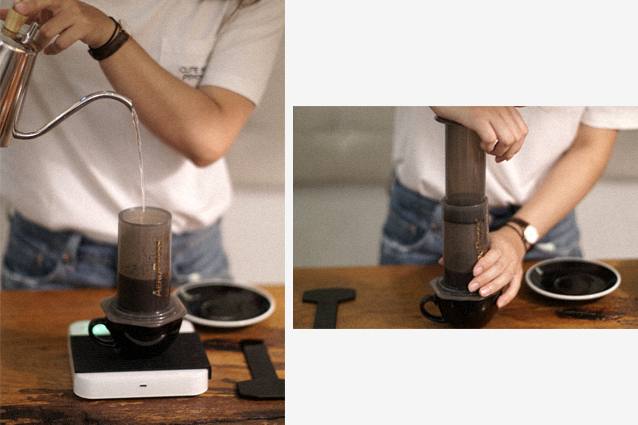 Using an innovation in the coffee brewing process, AeroPress can yield the silkiest, richest coffee that you could ever tasted. The brewer is widely loved in the home kitchen but it is durable, lightweight, and compact, making it ideal for your next adventure. 225 grams of boiling water or No.4 mark. 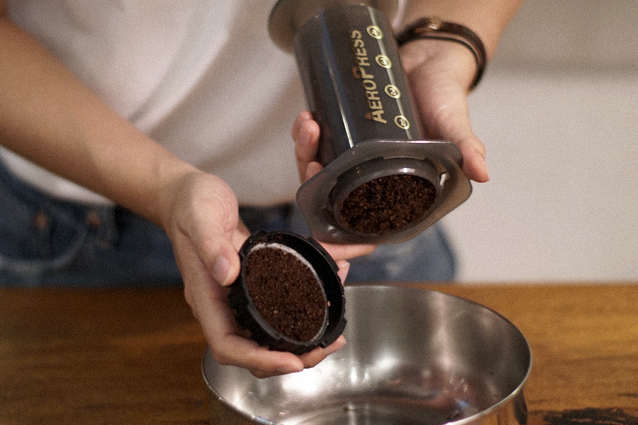 Work your elbow grease by grinding up the fresh coffee bean to a coarseness that is slightly finer than sea salt. 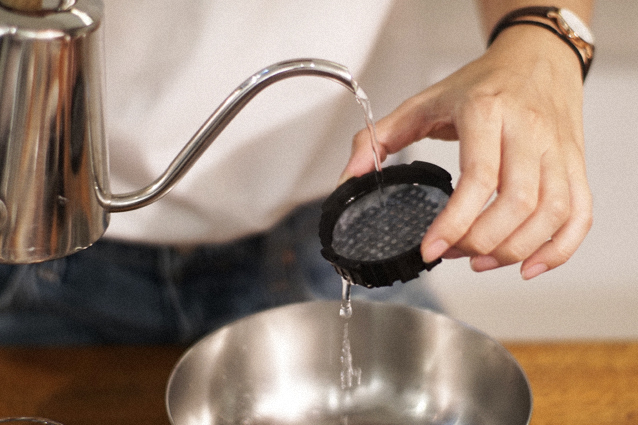 Preheat the brewer and the filter in the basket by rinsing it thoroughly with hot water. Securely affix the filter basket to the bottom of the brewer and place it on top of the mug. Start the count-down the minute the boiling water hits the coffee grounds. Pour enough water up to No. 4 mark. Stir thoroughly but gently, to saturate everything. Place the plunger on the chamber and pull up slightly to create a pressure seal. Don’t plunge just yet! Practice your dancing over the music for now. At the 1:15 seconds, remove the pressure seal and give it a mix, again! Put the plunger back on and NOW, you get to plunge. Be slow and steady. As soon as you hear the hissing sound, stop. The song should finish by now (2-min). Off you go, diving into that amazing cup of coffee.